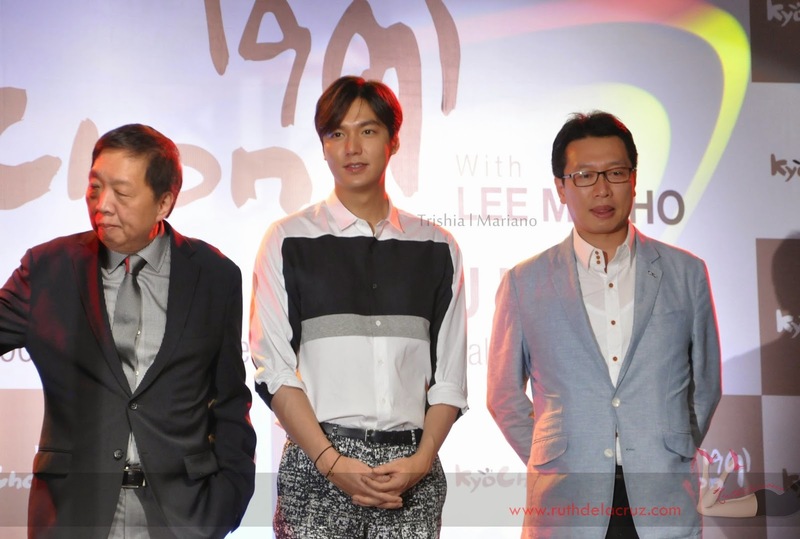 What do you do when you receive an invite to see Lee Min Ho? First, you scream. Then, you check your schedule, and when seeing him seems impossible, you contact your friend who is a die-hard fan of the actor to cover the event for you. I was swamped with things to do and events - and as much as I want to see the Korean hearthrob, I missed the event and let my friend enjoy the moment. It is a plus points that my friend has ninja skills when it comes to photography. 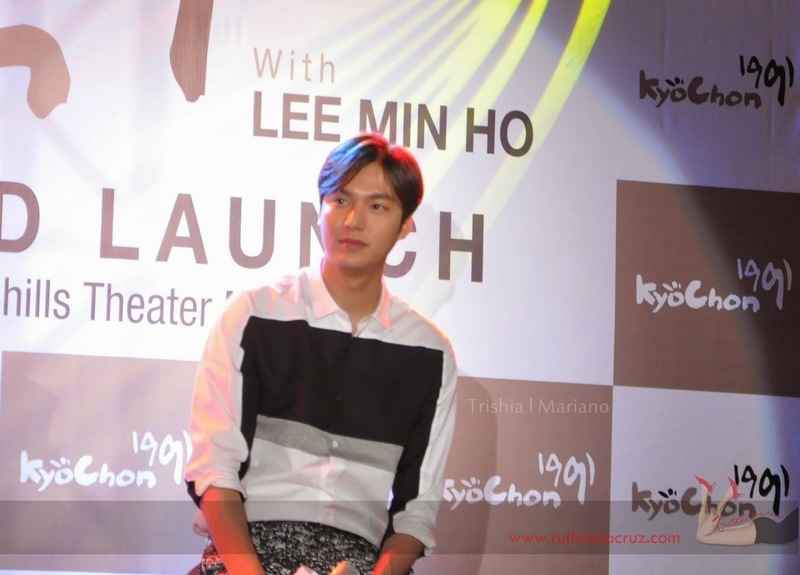 Now, here's a Lee Min Ho story for all of you guys + fan girl story reporting what happened during the launch and opening of Kyochon Restaurant with Lee Min Ho in Greenhills. 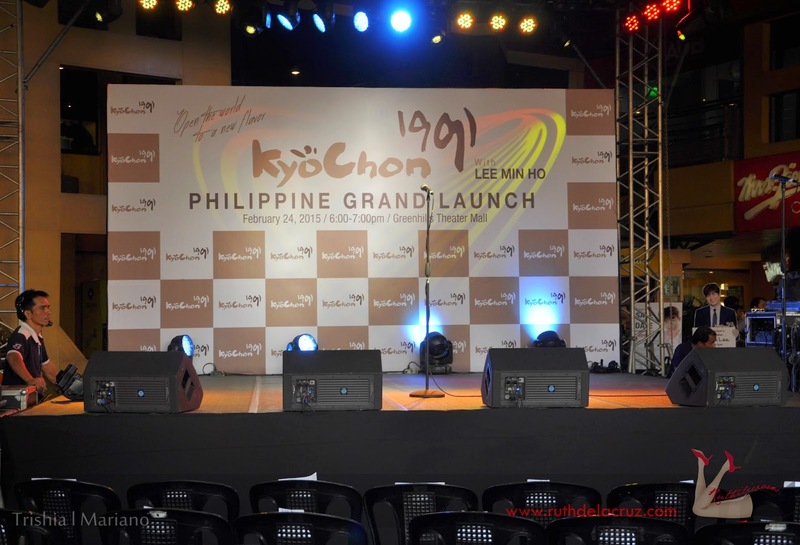 Quick trivia about Kyochon, it’s a Korean restaurant established on 1991 that boasts of its unique and healthy way of cooking fried chicken. 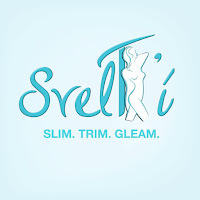 It has over 1000 branches in the US, Japan, Thailand, Indonesia, Malaysia, China and four branches in the Philippines. Definitely a cuisine that Filipinos should experience! And now Kyochon is really taking it global for having Lee Min Ho as their brand ambassador. You must be living under a rock if you haven’t heard of him or haven’t seen his top rating and award winning Korean dramas Boys Over Flowers, Personal Taste, City Hunter and the 2014 hit The Heirs. Ask any 20-30-something (or even older haha) who Lee Min Ho is and you’ll definitely get a smile, swoon or spazz as a reply. 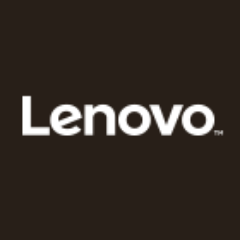 There is no escaping Lee Min Ho’s charm and charisma, just the perfect brand ambassador! 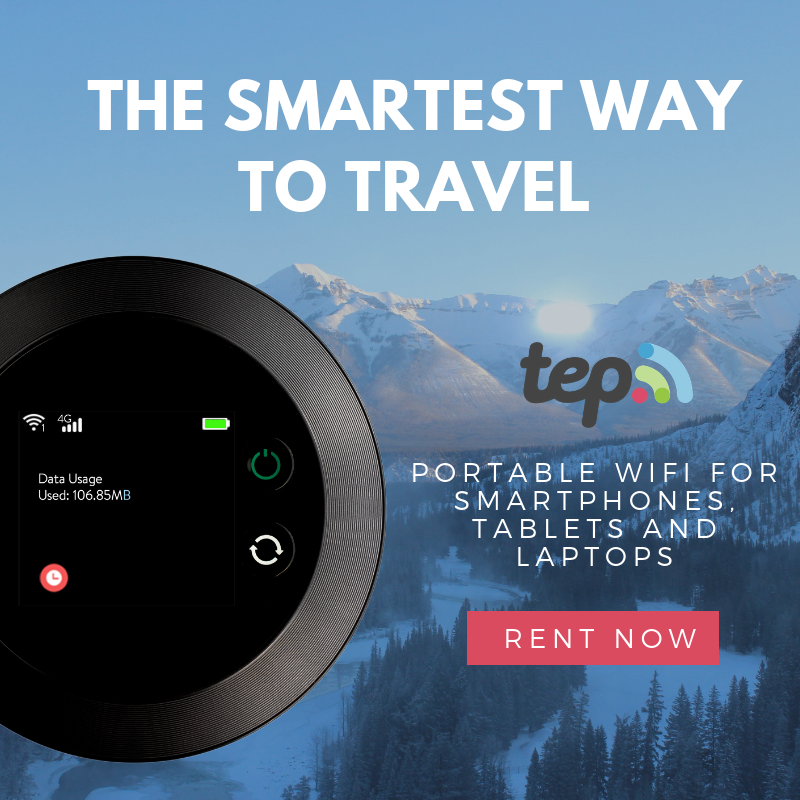 Must. Stop. Before. I. Fangirl. Okay, on to the event. Call time was at 5pm but since Lee Min Ho events in the Philippines are usually jampacked (this is the fourth Lee Min Ho I attended), we arrived as early as 4pm. Once we took our seats, folks from Kyochon treated us to some snacks with their best seller soon-sal strips and Yuza sparkling tea and songs from his album entitled Song For You and Kyochon CFs (aka Commerial Films). Yes, on top of his good looks and charming personality, he sings too. 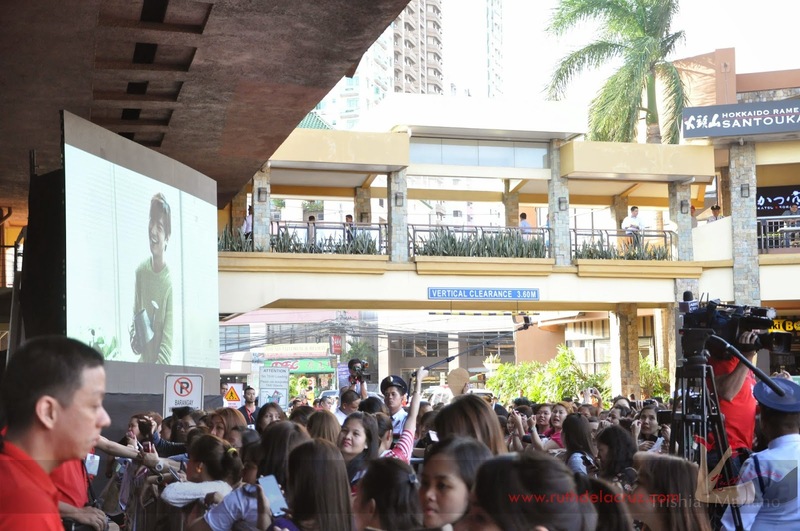 We’ve been told that Minoz (what Lee Min Ho’s fans call themselves) were in the venue as early as early as 10am and the wait was definitely worth the wait when we heard deafening screams when Lee Min Ho arrived at the venue. He was welcome by the fans, San Juan City Vice Mayor Francis Zamora and the lovely host Sam Oh who also acted as his translator. 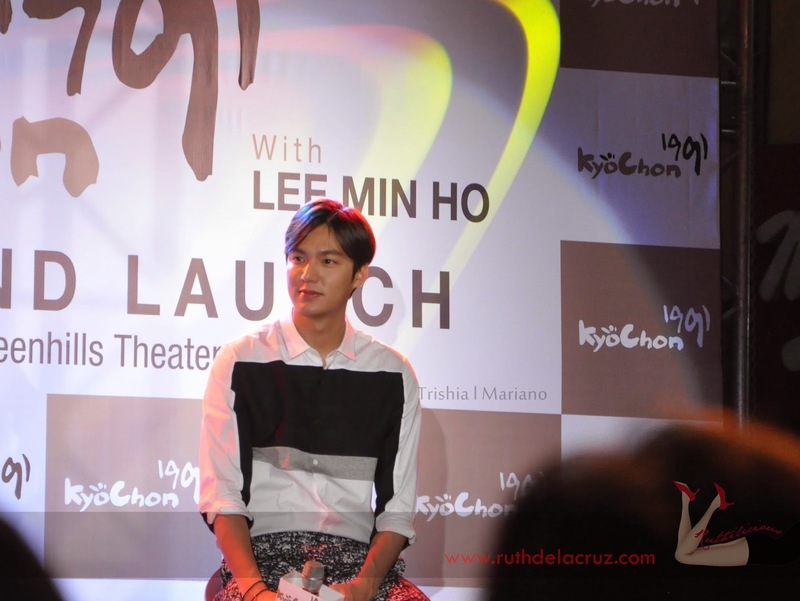 Lee Min Ho was his usual charming self and greeted everyone “Hello Philippines, Magandang Gabi’ and “Namiss ko kayo”. Minoz’s hearts melted. 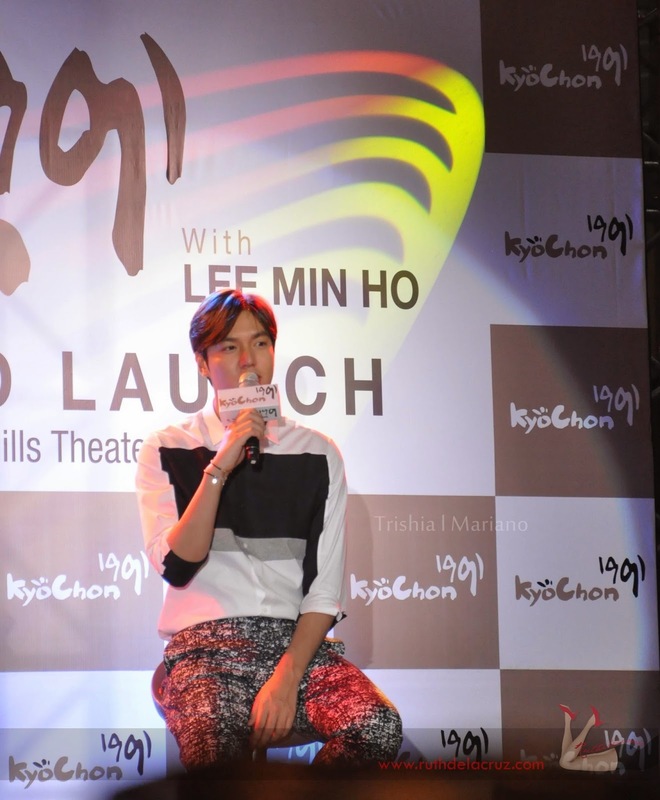 It was followed by a Q&A where Lee Min Ho was quizzed about his Kyochon experience. In the interview, he was proud to say that one of the reasons why he decided to become part of the Kyochon team was because of its eminence and reputation in Korea, having 900+ nationwide. Second, you may be in for a surprise if you visit Kyochon branches as frequent as Lee Min Ho does as he eats there on a weekly basis! 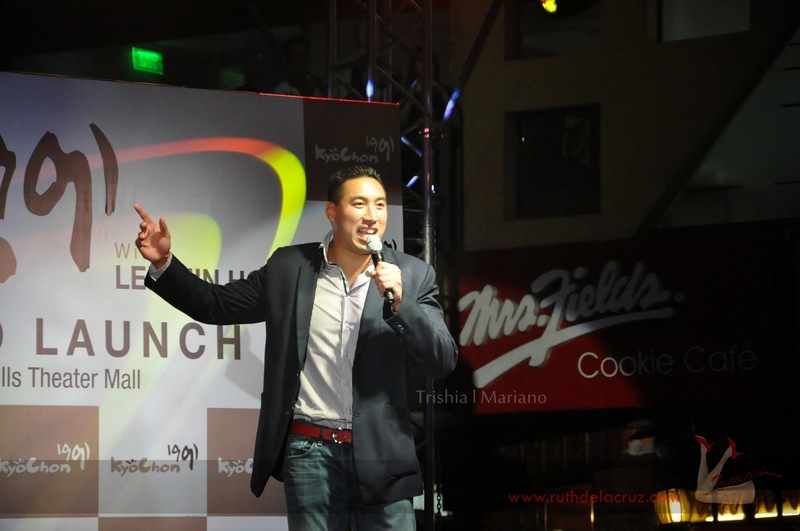 He enjoys his Kyochon experience so much that upon landing in the Philippines, the first meal he had was guess what? Kyochon! If that doesn’t convince you how good the food in Kyochon is, I don’t know what else will. different dip sauces (honey mustard, jambalaya and original soy if I’m not mistaken). I am legit craving for the soonsal strips with honey mustard sauce as I type. Okay. Hope you got enough tips and got to know Lee Min Ho better. 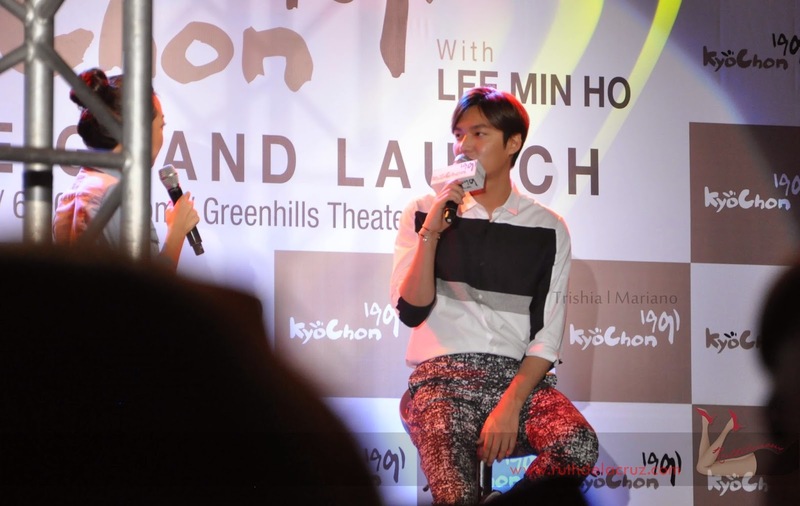 The crowd was smitten with Lee Min Ho when he shared that his favorite Kyochon experience was this fun meet where he got to shared it with his fans. Lee Min Ho is known for thoughtfulness by his fans and this statement just proves how much he appreciates them. D’awwww. 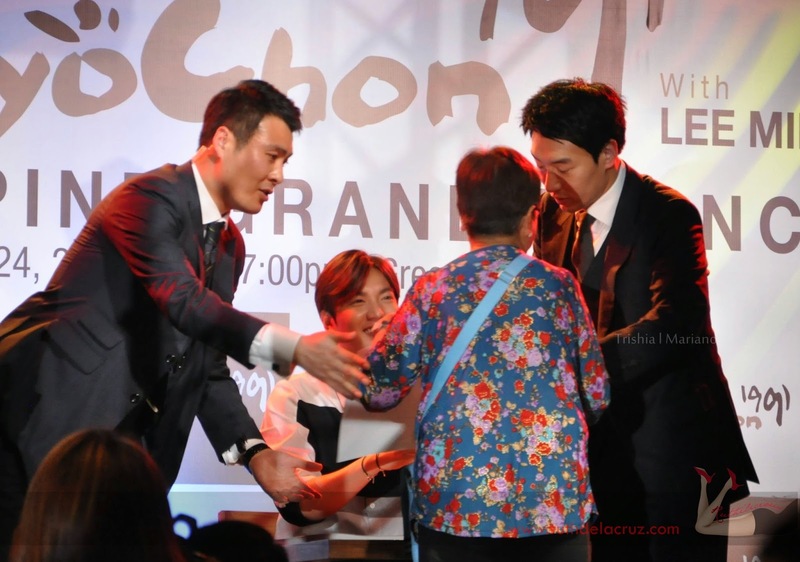 The event ended with a ribbon cutting and photo op session with Lee Min Ho and the local and Korean leaders of Kyochon at the Kyochon Greenhills branch (their latest one) and Lee Min Ho bidding the crowd farewell with “Mahal Ko Kayo”. 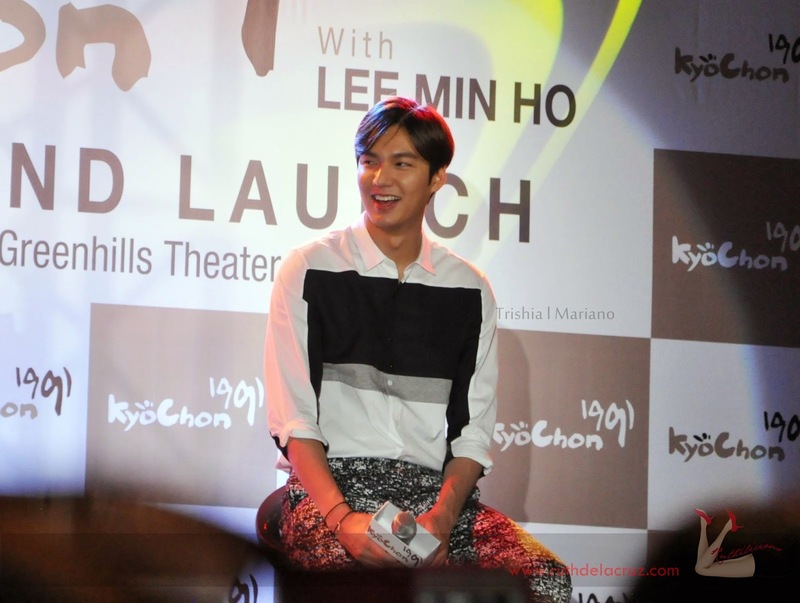 So what’s next for Lee Min Ho and Kyochon? 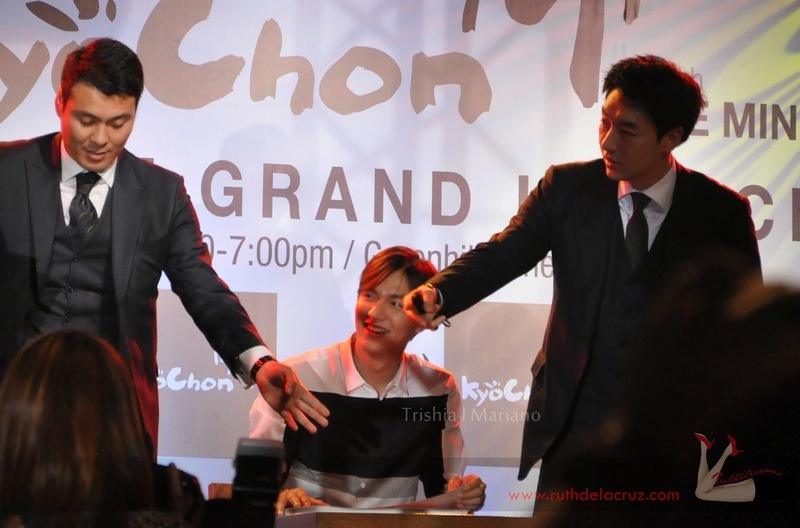 Well, Lee Min Ho’s full length film Gangnam Blues is set to hit Philippine cinemas on March 4 and Kyochon will be opening its Fifth branch at Eastwood City! So make sure to see the movie, head to the nearest Kyochon branch and enjoy some honest and healthy chicken with your friends, family and fellow Minoz. Still not enough to get off your PJs and go to Kyochon? 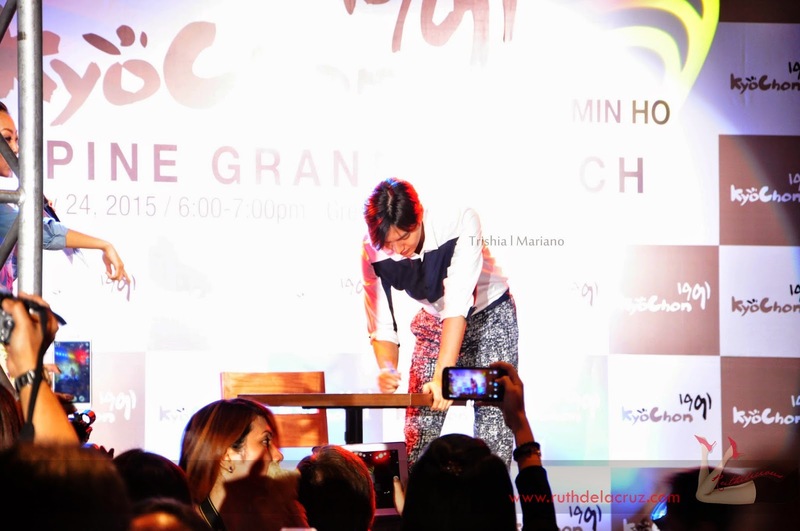 How about I share another secret: Lee Min Ho signed several tables that you can see in Kyochon branches. Here’s a photo of him signing one of the tables. The hunt for the signed tables starts now! So there, hope I didn’t bore you with my storytelling and fangirling. 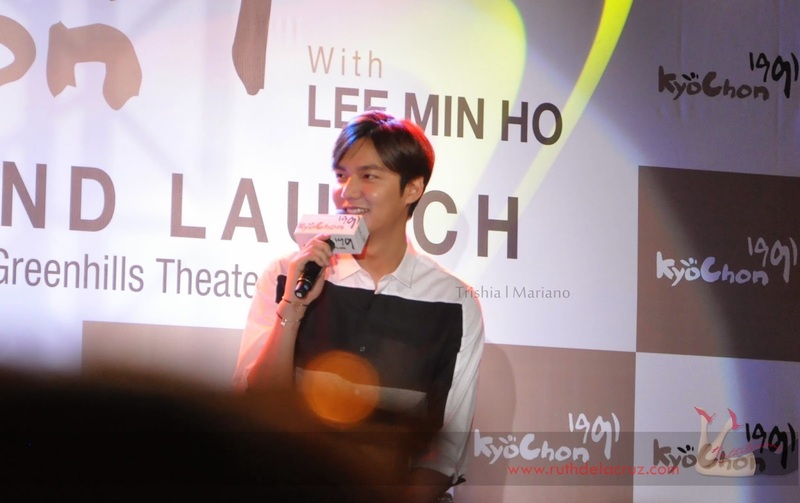 Congratulations for the successful event and Thank You Kyochon Philippines for bringing Lee Min Ho to the Philippines, you made a lot of Minoz happy. 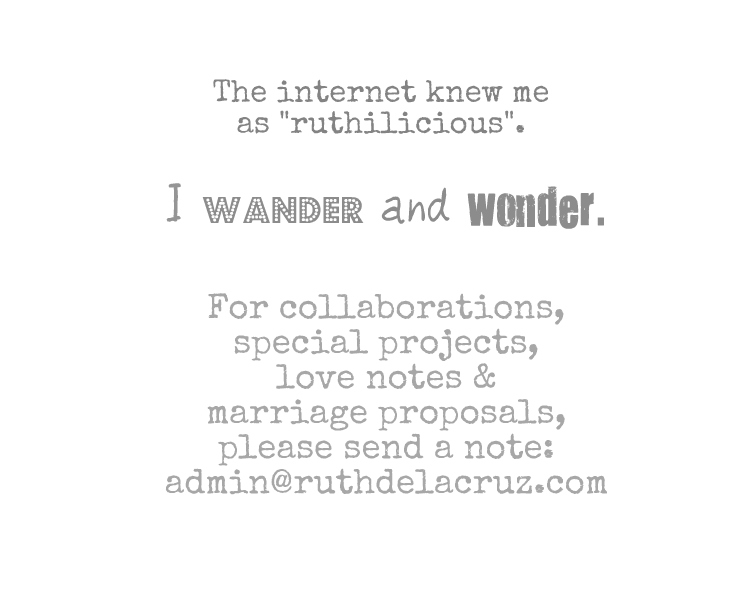 And to my ruthilicious guardian angel, as I said, a Thank You is not enough. Thank you so much Trishia for covering, and for Ed for the invite! I am excited to try KyoChon soon!